I really like statistics. As a kid, I would pore over baseball cards. I've done a decent job of not poring over the website stats, but it seems fun to end the year by highlighting the ten most-read articles of the year. 10. The Invisible Red Thread - this documentary shares the story of 15-year-old Vivian, who was adopted from China by a Canadian family. She returns to China to answer some questions about her past, her identity, and her future. 9. 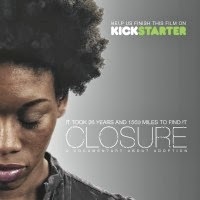 Closure - Like The Invisible Red Thread, Closure follows an adoptee as she seeks answers. Angela Tucker was adopted from foster care in a closed adoption. She manages to find her birth family and is ultimately embraced by them. Her filmmaker husband, Bryan, does a remarkable job of capturing her journey. 8. 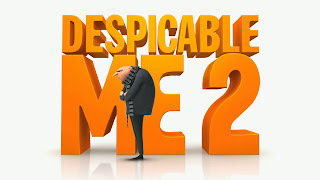 Despicable Me - Supervillain Gru adopts three girls from an orphanage. Although he intends to use them to further his evil schemes, he eventually has a change of heart and begins to care for them. 7. Beasts of the Southern Wild - This powerful, gripping film shows a marginalized community forced to relocate to a more sterile, safer place. It inspires thoughts about the ethics of forced helping, and also inspired a follow-up post, Twelve Things You Can Do to Make Sure Your Adoption is Ethical. 6. 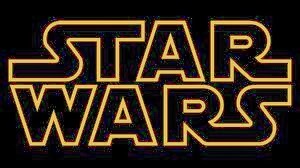 Star Wars - Luke Skywalker was raised by his Uncle Owen and Aunt Beru. He was not told the full truth about his family. He meets his sister under awkward circumstances, and meets his father in a traumatic way. Can adopted persons handle the truth about their history? Don't they have a right to know? 5. What Foster Parents Wish Other People Knew - A post by Sharon Astik on scienceblogs.com that gives fourteen powerful insights into foster-parenthood. 4. The Jungle Book - Disney's classic tale of Mowgli and Baloo has some relevance to cross-cultural adoption. And some very, very catchy songs. 3. 50 Children - An HBO Documentary about a couple that rescued over four dozen children from the Nazis. 2. Despicable Me 2 - Supervillain Gru has turned into an excellent, tender dad. Oh, and he's not a supervillain anymore. Now he tries to stop supervillains. Maybe my favorite film of the year. 1. Nia Vardalos interview - The "My Big Fat Greek Wedding" star adopted her daughter from foster care, wrote a friendly, funny, accessible book about the experience, and then took some time to talk about it. So, that's it! 2013 in review. Thanks for reading Adoption at the Movies. Happy 2014! My goal for 2014 is going to be a movie review posted every Tuesday (with extra posts on occasion to share about a newly-released or upcoming film, really good books, or thoughts about adoption) See you next year!